There are many exchanges which are willing to accept your fiat currency to exchange into cryptocurrency. Changing back into fiat currency and withdrawing can bring on its own host of problems. Exchanges can apply strict withdrawal limits and procedures and there have even been exchanges where users have been unable to withdraw their funds. In this article, we delve into the best exchanges to exchange your cryptocurrency for fiat and withdraw. When considering which exchange platforms are the best for exchanging your cryptocurrency into fiat currency and withdrawing, there are many factors to take into consideration. The exchange needs to be trustworthy. If you choose the wrong exchange, you may be putting all of the capital at risk. Factors such as fees and withdrawal limits also need to be taken into account. Bitstamp is the leader in this area due to the fact that it has no limit on withdrawal amounts. The exchange has been operating since 2011 and has a stellar reputation. This exchange is ideal for those who wish to withdraw large amounts. For example, it is possible to facilitate withdrawals in the multi-million dollar amounts on this exchange. Theoretically, the exchange has no limit. It is not as suitable for those who are withdrawing small amounts due to a minimum fee being applied. For example, if a user were to withdraw €100 via SEPA transfer, they would have to pay a minimum of €10 in withdrawal fees which would make such a withdrawal not worthwhile. International withdrawals incur a 0.09% fee but need to be a minimum fee of $15. This is a tiny fee if large amounts being withdrawn. A user withdrawing $1,000,000 would only pay $900 in fees which is a minuscule amount to facilitate such a large transfer. Users could go looking for exchanges with lower fees but this would involve trading off the trustworthiness and reputation of Bitstamp. A search for lower fees may result in the user losing all of the capital. Fiat currencies which can be withdrawn include EUR, USD, GBP, CHF, AUD, YEN, and CAD. Bitstamp also supports the majority of major cryptocurrencies. Users can trade with Bitcoin, Ethereum, Ripple’s XRP, Litecoin, and Bitcoin Cash. Users need to undergo verification in order to withdraw from Bitstamp. For a personal account, users will need to fill in a form and submit personal identification documents. Users can also apply for corporate accounts which undergoes the same process. Kraken is also one of the best exchanges for converting cryptocurrency into fiat currency and withdrawing due to its high withdrawal limits. There are four different tiers applied to customers which determines how much they can withdraw. Users that submit verification documents unlock the higher tiers and can avail of higher deposit and withdrawal amounts. The tiers range from zero to four. Zero is when you have created an account and has no capabilities. Tier 1 and 2 can be unlocked by inputting a few basic details. Tier 3 is the first step which requires actually submitting documents. Tier 4 is focused on high net worth clients or corporate clients. It can be unlocked by submitting further documentation. By just submitting details such as date of birth, name, and address, users can unlock tier 2 and avail of a daily withdrawal limit of $2,500 and a monthly withdrawal limit of $10,000. By submitting documents that verify your identity and unlocking tier 3, clients can avail of $25,000 daily withdrawal limits and $100,000 monthly limits. The most advanced tiers enable users to avail of $100,000 daily withdrawal limits and $500,000 monthly withdrawal limits. Comparing Kraken to other major fiats to cryptocurrency exchanges, Kraken supports a wide number of altcoins. Kraken also has support for most major fiat currencies including USD, EUR, GBP, JPY, and CAD. The fees for SEPA withdrawal are low at €0.09. The fee is $5 for withdrawing USD and C$10 for withdrawing CAD. Similar to Bitstamp, Kraken has also been operating since 2011 giving it a reputation of trustworthiness. They also conduct proof-of-reserve audits to communicate to users that they hold all of their funds. Kraken is not regulated by the government but it participates in self-regulating organizations such as DATA and JADA. Similar to Bitstamp, CEX has no withdrawal limits. The basic account which does not verify the user’s identity applies a daily limit of $1000 and a monthly limit of $3000. Once verified, users can avail of unlimited withdrawal amounts. Users can withdraw straight to a debit or credit card with CEX. The other methods of withdrawal go through the company Crypto Capital which ensures compliance. The withdrawal amounts through Crypto Capital are not subject to limits but the credit and debit card withdrawals are subject to some limitations. Credit and debit cards have a daily limit of $5,000 and a monthly limit of $30,000. They also incur a fee of $3.80 for Visa and $3.80 and 1.2% of the amount for Mastercard. 1.2% of a large amount would result in a significant fee for withdrawing to Mastercard. The Crypto Capital has unlimited withdrawal amounts and applies no commission to CEX. CEX has support for EUR, USD, GBP, and RUB. Not many exchanges support RUB which puts CEX in a strong position for crypto to fiat exchanges. This enables users to deposit, trade, and cashout in local currencies which are not facilitated by a wide number of other exchanges. One of the key limitations of the exchange is it has not yet branched out into supporting Euro fiat currency. There are both personal accounts and corporate accounts on OKCoin. Both accounts have a number of different levels within which the withdrawals limits vary. Level 1 involves only submitting information but level 2 involves submitting documentation to prove your identity. Proof of address is also required. Users at level two verification can withdraw $50,000 over the space of 24 hours. Level 3 requires contacting OKCoin and users at level 3 will be able to withdraw up to $500,000 over 24 hours. Corporate accounts avail of even higher limits. The fee for withdrawing is 0.1% or a minimum of $15. 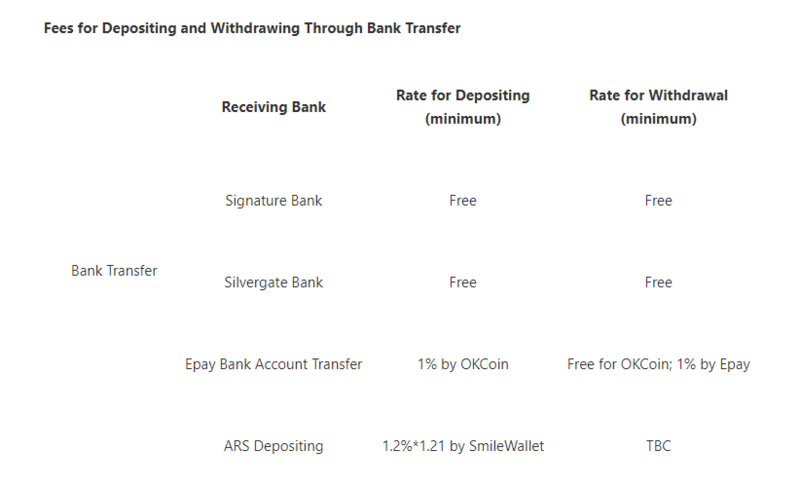 This makes OKCoin unsuitable for small withdrawals but very attractive when withdrawing large amounts. OKCoin has a strong focus on compliance with regulation which adds to its credibility and level of consumer protection. The key benefits of the exchange are the large withdrawal limits and the support for fiat currencies in South America. The key limitation is that there is no support for Euro. Coinbase is the leading cryptocurrency exchange and is typically the first stop for beginners who are looking to exchange their fiat currency into cryptocurrency. The exchange is ideal for beginners because of its easy-to-understand interface and stellar reputation. It is not always considered the best exchange for cashing out from cryptocurrency to fiat currency due to its high fees and the amount of verification required. There are also reports online of users having their withdrawal limits drastically cut for no apparent reason. Nonetheless, Coinbase is a viable option for cashing out and deserves to make this list given the huge amount of trust and partnerships behind Coinbase. The company is backed by prestigious investors such as Andreessen Horowitz, Union Square Ventures, and Y Combinator. Coinbase supports the major large-cap cryptocurrencies and the major fiat currencies. There is support for USD, EUR, and GBP. In terms of cryptocurrencies, there is support for Bitcoin, Bitcoin Cash, Ethereum, Ethereum Classic, Litecoin, 0x Project and more coming soon. Users of Coinbase’s service for advanced trading, Coinbase Pro, will have a withdrawal limit of $10,000 per day. Although this may seem a lot, it is low when compared against the leading competitors in the industry. Users of the exchange can contact Coinbase for higher withdrawal limits. The withdrawal fees Coinbase are €0.15 for SEPA transfer and $25 for wire transfer. As part of Coinbase’s compliance with US regulations, users have to undergo a stringent verification process. For Coinbase Pro, they will need to submit at least two government-issued documents confirming their identity which is not always feasible for everyone. Users will also have to verify their address, phone number, among other personal details. This is too invasive for some users and also leads to increased complications to get to the point of withdrawing. Although Coinbase is one of the best exchanges in terms of liquidity and trading features, when it comes to cryptocurrency to fiat exchanges, the exchanges listed above are outperforming. An alternative to cashing out via traditional, centralized exchanges is using peer-to-peer exchanges to exchange your cryptocurrency into fiat currency. These peer-to-peer platforms can be attractive because they offer a number of options for cashing out and also make it possible for users to maintain anonymity if they wish to do so. Peer-to-peer platforms are not as convenient as online exchanges but are preferable to some users. The two largest peer-to-peer exchanges cater for Bitcoin and Ethereum. 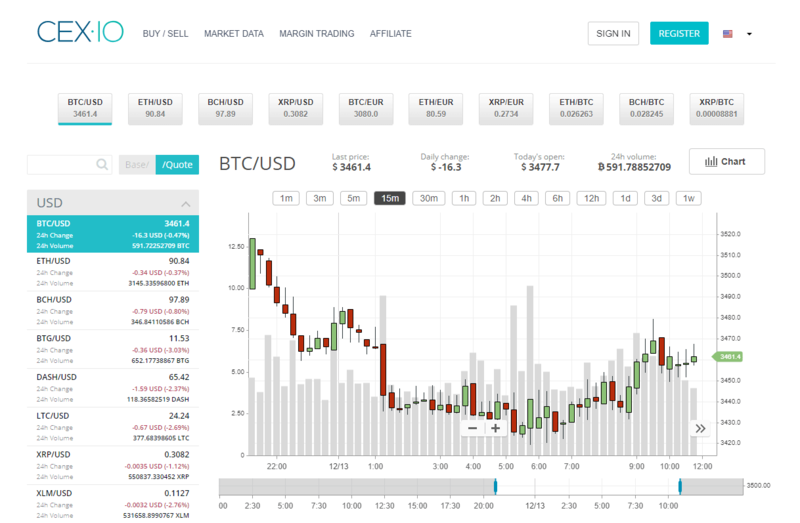 LocalBitcoins facilitates peer-to-peer buying and selling of Bitcoin. The exchange has been operating since 2012 and facilitates exchanging of Bitcoin in most places globally. LocalBitcoins does not charge any fee for buying or selling Bitcoin. The company generates revenue from other sources such as advertisements. When selling Bitcoin, there are a number of ways that the trade can be conducted. Sellers can receive bank transfer or another method of electronic payment. All online payments are facilitated via an escrow account. Sellers should never release the funds from escrow until they are absolutely sure that the payment is being processed. Sellers can also organise to meet the buyer in person to receive cash. Meeting in person to conduct the trade is most suitable for those who are wishing to remain anonymous. LocalEthereum operates in a similar manner to LocalBitcoins. It provides users with a number of options to cash out and also a way to maintain anonymity. The main difference between LocalEthereum and LocalBitcoins is that the exchange is facilitated via smart contracts that act as an escrow account. A dispute can also be opened if there are issues with the trade. LocalEthereum charges 0.25% to the person who posts the offer to the exchange and 0.75% to those who take an offer.